Ginger root CO2 select from India. Species: Zingiber officinale Roscoe. Family: Zingiberaceae. Aeracruas' ginger CO2 select oil has a fresh, fruity, robust aroma. 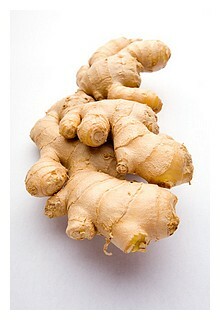 Articles: Health Benefits of Ginger Root Oil and Ginger Oil Uses in Alternative Medicine.